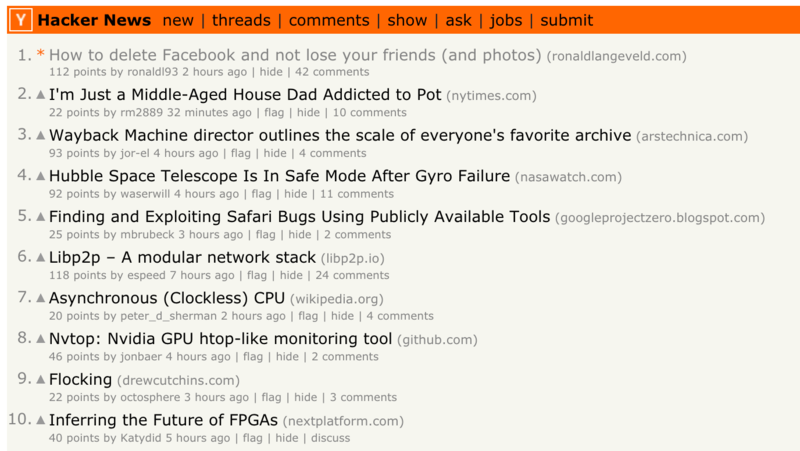 My blog post went to #1 on Hacker News! On Sunday evening I decided to once and for all kill my Facebook account. But I didn't want to lose everything so I managed to back up everything. As with most of my blog posts, for fun, I share it on Hacker News along with Twitter & Reddit. I usually get a few views from it. However this time was a little bit different. About 20 minutes after I posted it, I suddenly saw my traffic surging fast and my server slowed down like crazy - but it luckily stayed live. That's when it hit me. My blog post is on the front page of Hacker News. OH MY GOSH! About an hour after I posted it, it received over 3000 hits already. First it was at #3. But it quickly got ahead of the rest. And it literally hovered around the top 3 for a few hours, till it started moving down. By the evening it was just over #10. And then it slowly faded away. I mean, it's not suppose to be a big deal. It's not like I got money for it or anything tangible. But, the feeling that I something I posted actually got that much attention by over 11,000 people in a day. That's quite a cool feeling. It also gave my servers a good stress test. My blog runs on Ghost, with Sqlite (as opposed to MySQL which they recommend) and it managed to stay up. I think a bit more RAM and CPU would've ensured that it stayed fast all the time - but still, it didn't crash and it just kept serving page requests. At some point I was getting over 50 hits per second. That's a lot of traffic for a $5 server. Overall, It was a cool experience! 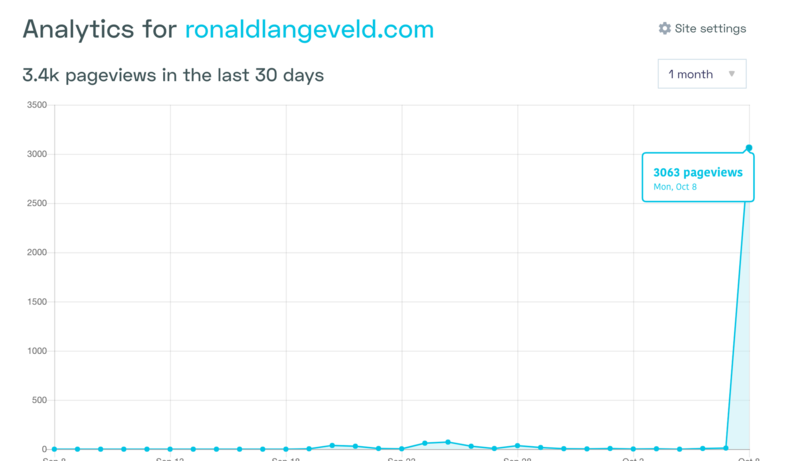 Hopefully something like this happens again - and with one of my projects, or clients' websites.